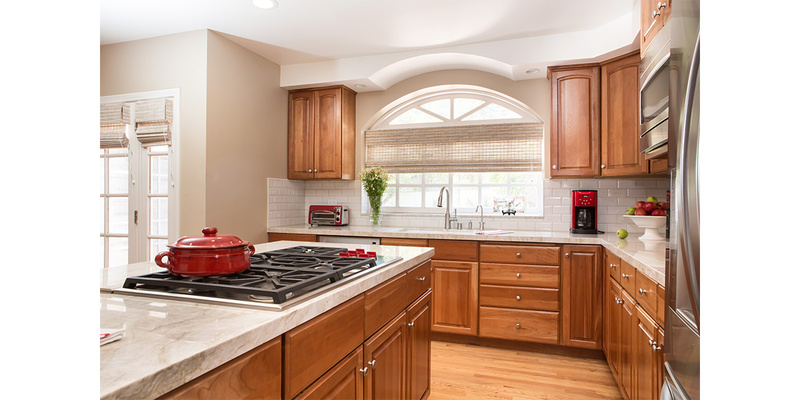 Remaining true to the traditional style of this residence in Bel Air, we remodeled the kitchen with white bevelled subway tile in a crackle glaze and quartzite countertops. 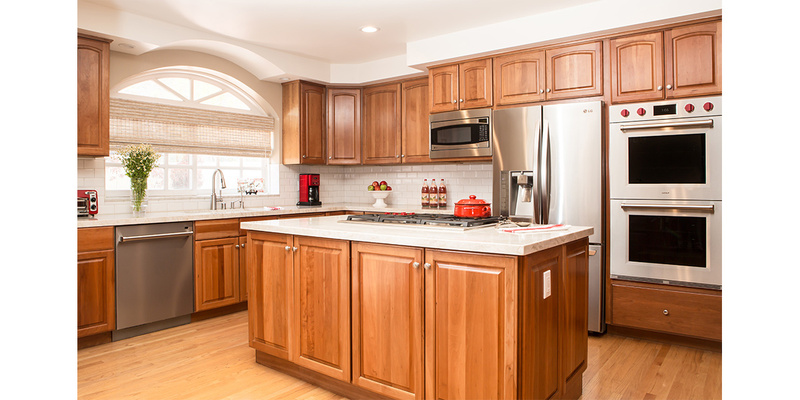 The maple cabinets, new Wolf appliances and woven window treatments all reflect a timeless space. 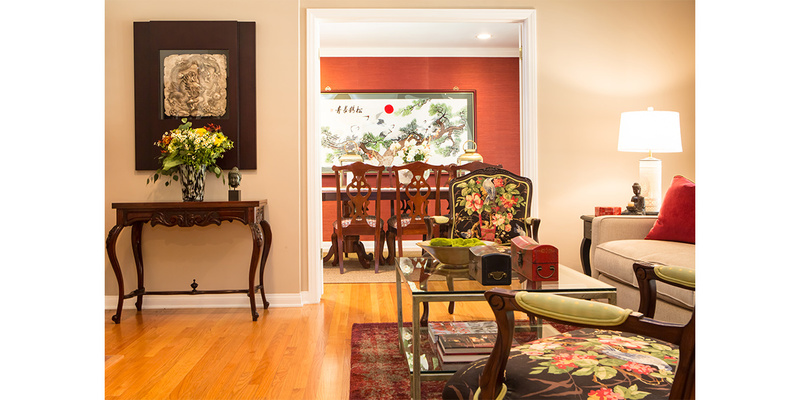 The homeowners requested we incorporate some of their Asian art, furniture and collectibles, and we centered the design around these pieces. 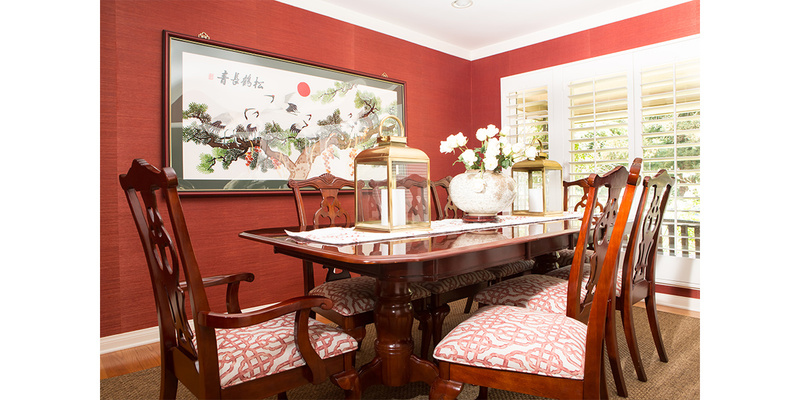 A striking red grasscloth was used in the dining room, and red became the accent color throughout several rooms in the home. 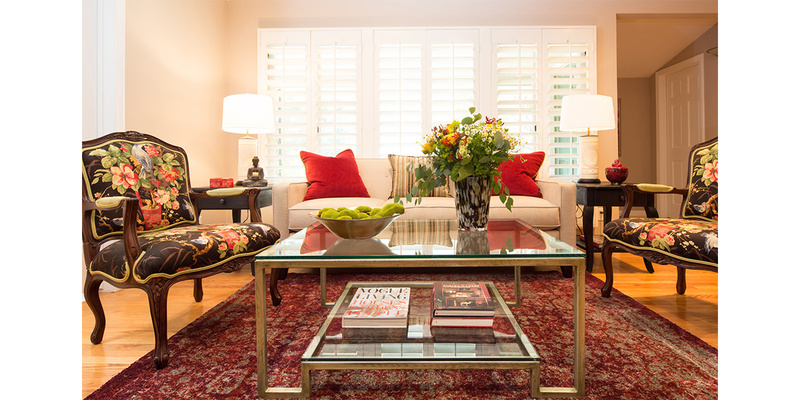 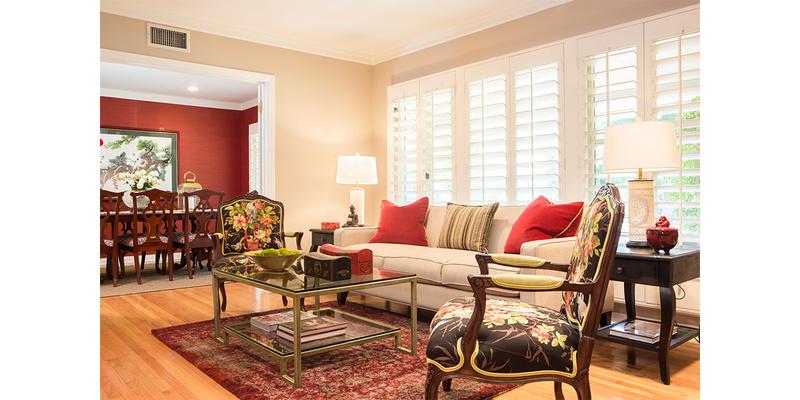 The living room introduced chartreuse into the mix which plays nicely with the berry reds. 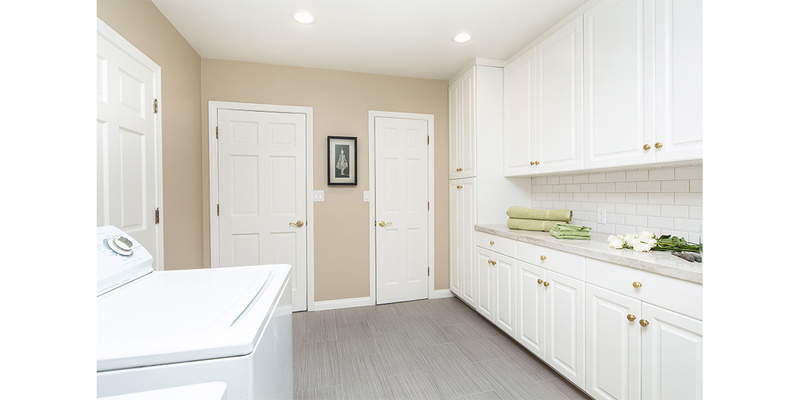 The laundry room utilizes the same tile and countertops as in the kitchen for continuity, but with white cabinetry and a new tile floor.